I haven’t always been a coffee addict, but ever since I was a child, I've had a fondness for various teas. 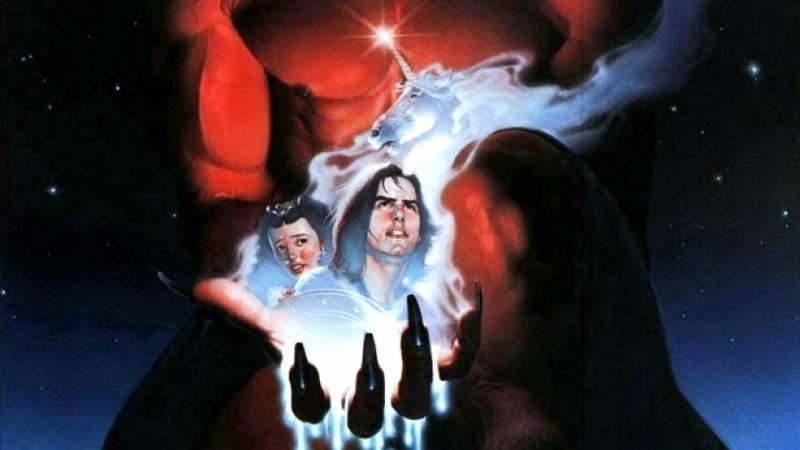 My childhood heavily included 1980s fantasy movies as well, and I noticed that each film had its own unique flavor, whether it be in overall tone, character development, or even storytelling style. Not that you need a reason to drink coffee, but I thought it would be fun to offer coffee options that would heighten a 1980s movie marathon, all according to the flick and the beverage’s unique qualities. The Black Cauldron is a darker Disney film about a young pig farmer and friends taking on the terrifying Horned King. The flat white is half espresso, half steamed milk. Some coffee shops do give you foam that's highly textured and has an almost velvety feel to it. The espresso is also much more concentrated and isn’t usually sweetened. Instead of a menacing green mist, imagine this cauldron contains coffee. Any true Disney fan should see this film at least once, so if you’re among those few who have, congratulations! Get yourself a coffee. A flat white, particularly. And here’s why. Did you know that both the cappuccino and flat white aren’t typically sweetened? Since the flat white has a much more concentrated espresso, it’s a tad sweeter, which pairs well with the misconception that just because The Black Cauldron is a Disney movie, it must be cupcakes and kittens. But, like a great many Disney movies, it straddles the line on the creamy sweetness you may remember and the bitter notes of hard life lessons. Isn't he precious? Definitely the milky foam. Oh, and Gurgi is the frothy foam on top! Oolong is a traditional Chinese tea that is part black tea, part green tea. Really, Oolong, depending on how it’s prepared, can taste fruity or even nutty. A classic favorite with, depending on how you brew it, various flavors. 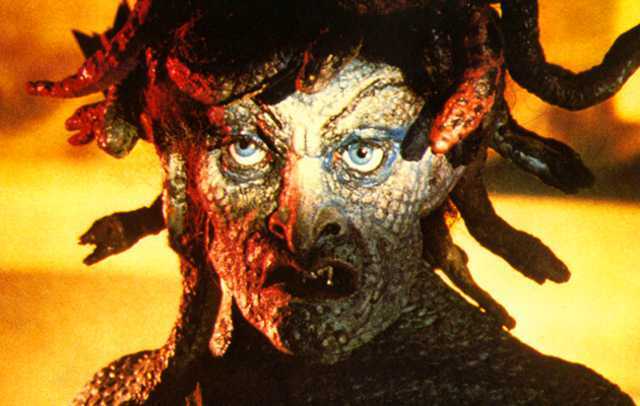 Clash of the Titans has that classic flair. Drinking Oolong with this flick is clever because, just like the tea, depending on how much you know of Greek mythology (depending on how you “brew it”), you may have a different take on the movie. It could either be fun and fruity or, if you are a mythological buff, it could be something much more refined and complicated. If you’re a Percy Jackson fan, this movie is mentioned in the series! An entirely different flavor all together. Legend is about Jack and Princess Lily’s quest to stop the Lord of Darkness’ plan, which involves capturing a unicorn’s horn in order to free himself so that he can plunge the world into everlasting darkness. The caffe macchiato is an espresso drink tinged with a spot of foamed milk. Strongly bitter with a spot of cream. If you like a bit of darkness with your light or vice versa. Truly, for the anti-hero in all of us. The Lord of Darkness mentions that even though Jack might defeat him, there will always be sin and shadow to accompany the light. Just as the macchiato, this pairing could represent the melding of the pleasant cream of love and light to the bitter espresso of darkness and dread. 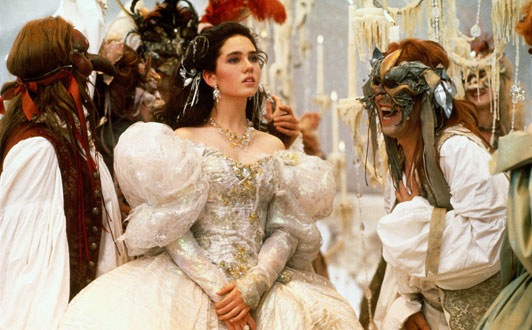 Sarah must venture into the Labyrinth to save her brother from Jareth, the Goblin King. Pumpkin Spice Latte is an espresso and steamed milk drink with cinnamon, nutmeg, and clove. Usually, the latte is then topped with whipped cream and spice. Looks like someone could use a pumpkin chai latte. Both are a mixture of well-blended, in-your-face flavors. Since the movie is about a girl and her journey into the Goblin King’s kingdom, it would be a perfect movie to sip a spiced pumpkin treat. After all, there are goblins, interesting muppet-like creatures, and even a masquerade part way through the movie. The movie screams Halloween! Why not have a seasonally fall drink to go with it? And the vast array of spices is almost a mirror to David Bowie’s dashing performance. Just his tight pants alone "spices" things up. Their love is as sweet and pure as Starbucks' Peppermint Hot Cocoa topped with whipped cream and chocolate drizzle. 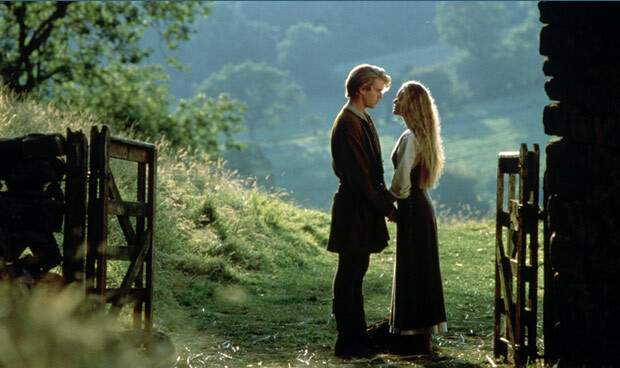 The Princess Bride is a tale of romance, of daring, of pirates, princesses, and the power of true love. It holds tragedy and comedy and is one of the most quotable movies. Hot chocolate is melted or powdered chocolate, milk, and most often sugar (sometimes, even whipped cream). If only that poison was hot chocolate. Overwhelmingly rich and sweet. A treat for everyone to enjoy and especially great to share with a loved one. 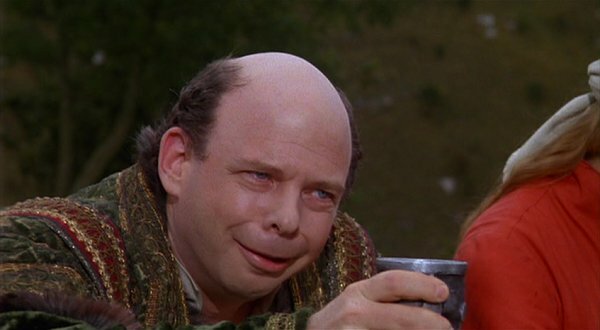 The Princess Bride is a timeless classic, so it’s perfect to drink such a delightfully classic drink to accompany it. 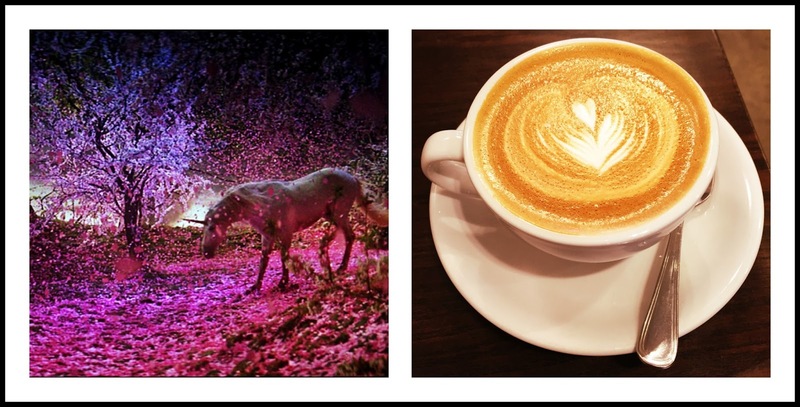 Just as Buttercup and Westley’s love is endearing and sentimental and just like the movie can be enjoyed by both young and old alike, so too can hot chocolate. Besides, there are so many ways to view this movie, and an endless amount of ways to drink hot cocoa (with cinnamon, with peppermint, with marshmallows, with Ghiradelli dark chocolate). "Westley, would you be a dear and make some hot cocoa?" There also isn't ever a wrong time to watch The Princess Bride. Coincidentally, hot chocolate can be enjoyed all year round. Besides, chocolate is at least my true love, a theme that is prevalent throughout The Princess Bride. 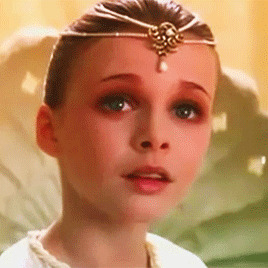 The NeverEnding Story is about a boy named Bastian, an avid reader, who finds a book that centers on a valiant hero and his quest to stop a terrible storm called the Nothing from taking over the world. A Frappé is a cold coffee drink covered with milk foam. Of course, one would have to add a dollop of ice cream... because, why not? Refreshing and usually endlessly sweet. The reason to quench your thirst with this particular drink is that, like The NeverEnding Story, the frappé ice cream mixture is both delightful and addicting, not to mention that the calories, if you aren’t careful, can be a tad terrifying... not unlike some adventures encountered in The NeverEnding Story. Plus, the ice cream floats on top of the coffee like Falcor glides on air. So, there you have it. If you're in need of a 1980s fantasy movie marathon, you now have your ultimate guide to café beverages. Happy pairing! Do you have any perfect pairings of your own?